Viktor Seras I am validating that this deal works as described. 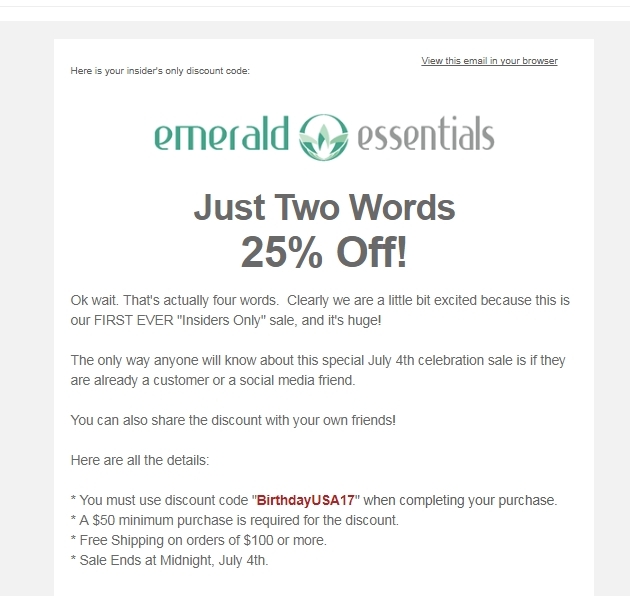 Just apply the coupon code and Get 25% Off $50 or More at Emerald Essentials. Laura DeLuca * You must use discount code "BirthdayUSA17" when completing your purchase. * A $50 minimum purchase is required for the discount. * Free Shipping on orders of $100 or more. * Sale Ends at Midnight, July 4th.